Last week’s budget has been branded as “disappointing” for energy by the boss of Energy UK. He said it’s going to affect businesses “right across the spectrum” and will have “major impacts on cash flow”. Mr Slade said the first Tory budget in 19 years was sending out the wring signals to investors. One of the major strands of the budget was the reform of the welfare system with cuts to tax credits. Many critics have said this will leave poor families struggling even more to pay energy bills. Addressing this point Mr Slade said physical trials are being done in order to help those in fuel poverty. 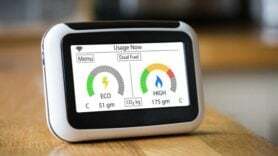 He said: “What I mean by that is how we can actually use new technology like smart metering for example to start bringing in new innovative products which will help people understand and use their energy more effectively. He added there needs to be a broader discussion with government looking at how money is used for energy efficiency.